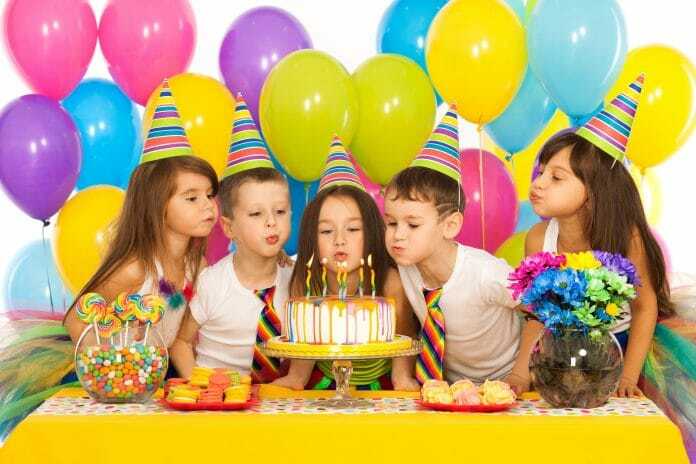 Does the prospect of planning your child’s birthday party make you nervous? If you’re like many of us, party planning seems overwhelming. You feel so much pressure to please your little one. When my daughter was one month away from her 8th birthday, she announced that she was going to have a birthday party somewhere fun instead of at home. Back then, my idea of a great kids party consisted of inviting a few friends over for a few party games, cake, and ice cream. However, my little girl’s nickname is Doo. Her older brother started calling her that when it became apparent that determination is one of her strongest character traits. So, even though I’d managed to make it through 13 years of birthday parties without venturing outside of my house, I knew that I needed to step it up and plan a party. After I took a deep breath, I started researching possible birthday party places near me. That is to say, I pestered friends by phone and Facebook. Eventually, my search included loading the kids into the car to scope out potential sites. Finally, we found the perfect fit and my daughter celebrated her birthday at a local gymnastics center. It turns out that Twin Cities has an unbelievable variety of birthday party places. Here is a selection of 10 favorite places in our area to host your child’s next party. Is there anything more precious than little girls and their dolls? Doll lovers ages 3 and up enjoy delicious fare from the American Girl Bistro, a tasty birthday cake, doll tiaras, and goody bags. In addition, American Girl presents a special gift for the birthday girl. Girls ages 6 to 14 make a craft as part of their party experience. Deluxe packages offer special touches, such as a private dining room and table activities. American Girl celebration rates are $30 – $45 per child. Adults are $20 – $35. Packages are geared for ages three to fourteen. ArtStart’s ArtScraps birthday parties are ideal for children who enjoy crafts. Possible craft projects include seed mosaics, animal shakers, treasure boxes, creature masks, bookmaking, and inventors workshop. Participants enjoy two hours of craft making and can take home their project and a party favor bag. Finally, a bonus for the parents: the party cost includes clean-up. The price is $185 for ten children at an additional cost of $15 per extra guest. Due to the nature of the party, the maximum number of kids is twelve. Strike! Bowling parties are always a hit with kids. Flaherty’s Arden Bowl hosts fun birthday parties for kids under the age of 10. There are several party packages available that include bowling, bowling shoe rentals, party room with party supplies, party favor bags, and invitations. In additon, pizza, a pitcher of pop, and appetizers round out the fun. Prices range from $11.99 per child to $14.99 per child. This terrific indoor aquatic center is inside the Oxford Community Center. The facility includes a lap pool, diving board, water slides, floats, and children’s activity pool. Kids of all ages are welcome to celebrate during regular open swim hours. Packages include a swim and cake option for $12 per child, and aquatics, cake, and meal option for $16 per guest — all ages. Do you have a budding inventor on your hands? Leonardo’s Basement captivates kids who like to tinker and build things. One of the best parts of Leonardo’s Basement is that they meet in advance with your child to plan a project that fits your little one’s interests. The average cost for a party at Leonardo’s Basement is $25 per guest, unless there are elaborate requests. The price includes the instructor and all the materials for each student. They can accommodate large parties and there is a minimum charge of $250. The Minnesota Zoo earns its reputation as a favorite birthday party destination. In addition to visiting the animals, you can choose from the following themes: Premium Australia, Premium Horse, and Premium Overnight birthday parties. Costs range from $300 – $885, depending on membership and party option. The listed price is for 15 guests, with each additional guest requiring an additional fee. Conveniently located inside the Mall of America, there is plenty to love about having a birthday party at this amusement park. The Adventure Packages include 3 and 5-hour ride wristbands. The birthday child gets into Nickelodeon Universe free of charge. In addition to unlimited rides, each participant receives an ICEE souvenir cup. Nickelodeon Universe requires a minimum of seven children to purchase the birthday party package. Birthday parties are not available on high traffic days. If you opt for the 3-hour party each wristband is $20.95, while the 5-hour wristband is $22.95. You must purchase at least seven wristbands per party. THAT Cooking School mixes up fun and education in the kitchen. Junior chefs feast on a selection of yummy party options. Possible themes include cupcake wars, pizza party, paint, and cook, and culinary challenge. THAT Cooking School happily plans custom experiences for kids who dream of a specific type of culinary party. Consequently, tasty benefit of a cooking gathering is that the kids get to eat their creations and you don’t have to wash the dishes. Cost ranges from $30 – $40 per child. Ages 5+. Mini daredevils adore the thrills and challenges of a Circus Peanut Party at the Twin Cities Trapeze Center. You can choose from a “Flying Trapeze” or a “Circus Skills” Party. Make the party Deluxe and add in a room rental to celebrate! Prices vary depending on the number of guests, but start at $150 and go as high as $575. This massive facility includes 11,000 square feet of jumping fun, a climbing wall, and an aerial challenge course. Moreover, there are arcade games and a thrilling laser tag area. All parties at Zero Gravity provide pizza, drinks, cupcakes, jump socks, and paper products. Subsequently, the birthday child receives a Zero Gravity t-shirt as a present. Rates vary from $167 – $503 depending on jump time, the day of the week, and the number of guests. Now that I’ve told you about all these great places give them a call and happy Birthday planning!